A fanny pack? Seriously? Yeah, I know. Fanny packs haven’t been cool for years. That doesn’t mean they’re not functional, though. “Why a fanny pack?” you may ask. An excellent question. I’ve been looking for a way to carry a few essentials on my person on canoe trips … just in case I accidentally dump the canoe and end up in the drink with all my stowed gear floating away downstream. Soaking wet and stranded with no canoe is not a fun way to spend a cold night – especially if you don’t have a way of starting a fire or navigating your way home. A backpack doesn’t fit well under (or over) a personal flotation device (PFD) and that leaves you with only a couple choices – a “fancy” PFD with lots of pockets in which you can stash some gear or … a fanny pack. 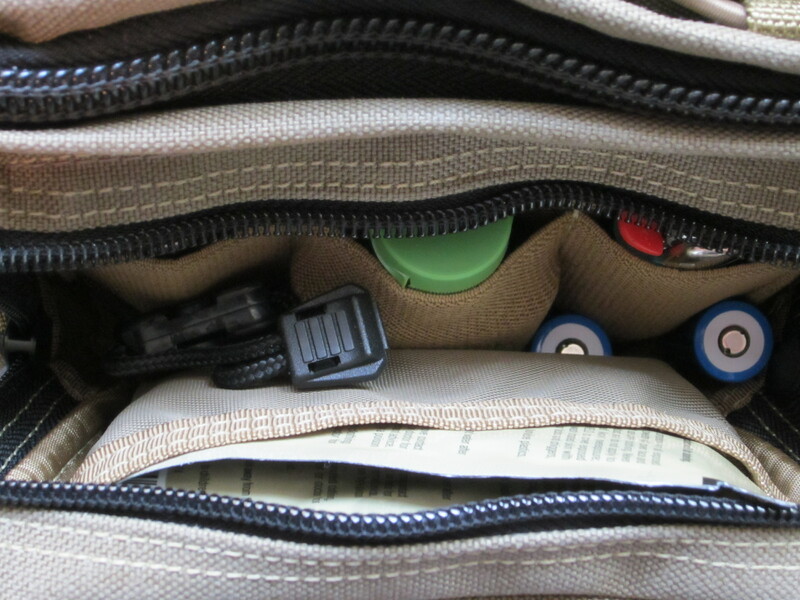 Enter the Maxpedition Octa Versipack. The Octa is nothing more than a “glorified” fanny pack but, oh, the glorification! This is not your mom’s fanny pack. 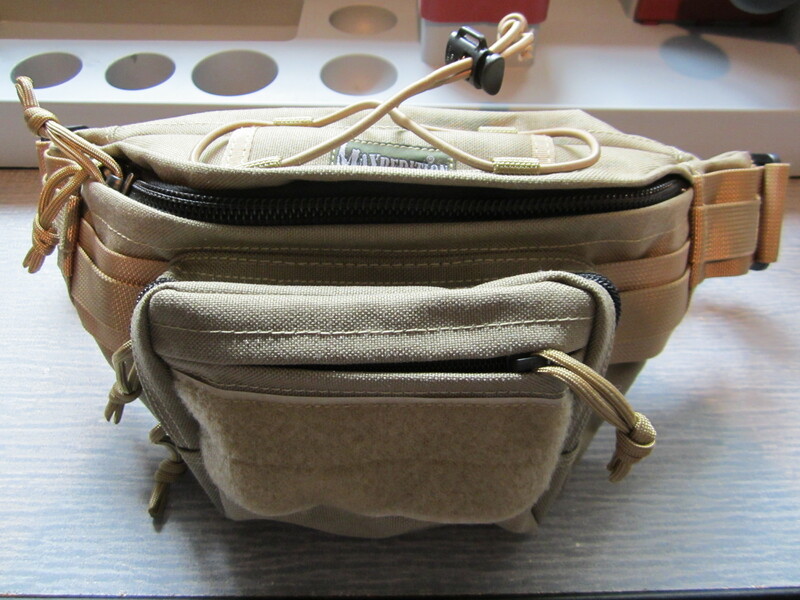 The Octa was designed by Maxpedition to meet the needs of people who needed more than a fanny pack, but needed to carry their gear around their waist rather than on their back. As with Maxpedition’s other Versipacks, the Octa is exceptionally versatile. There are four main compartments. The smallest of the four is just the right size to hold an Altoids tin. 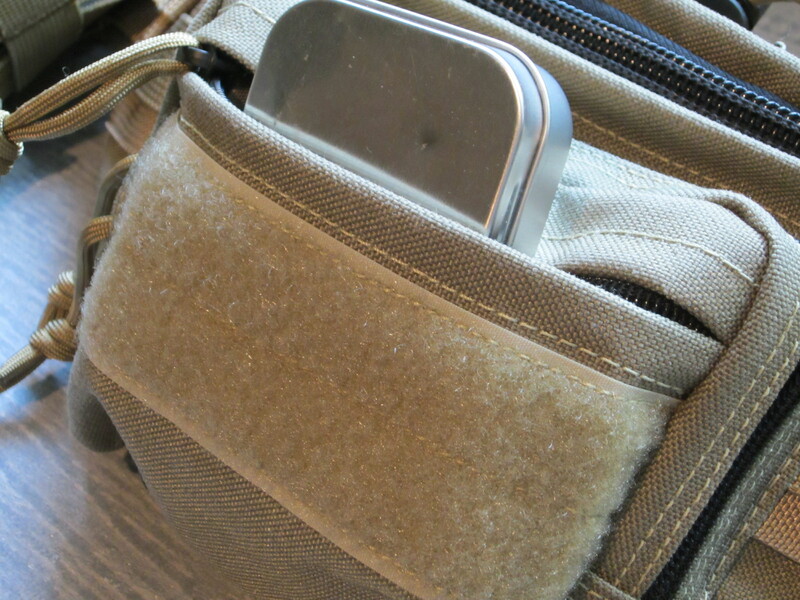 I’ve been putting bare-bones personal survival kits (PSK’s) in Altoid tin-size containers for quite some time now so I was glad to discover that these tins fit perfectly in the smallest of the pockets. Directly adjacent to the smallest pocket is a slightly larger pocket divided into two sections. The larger section has three loops of elastic webbing. In the photo below, you can see that the elastic will hold anything from a Chapstick container to a travel-size hand sanitizer bottle. 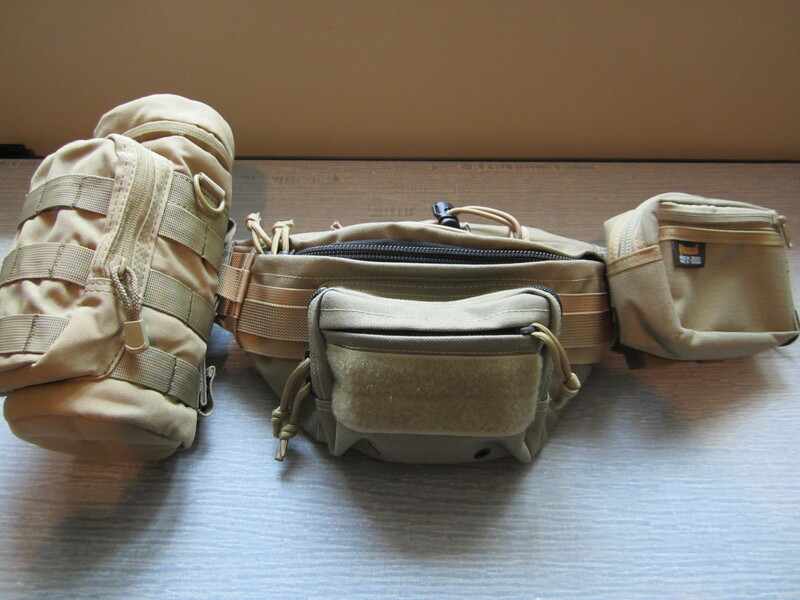 The smaller section is perfect for a couple ITW Field Shield Wipes and a few bandages. Even with all of those items in the second pocket, there’s still room for more. In the photo below, I’ve dropped in a couple CR123 batteries for my flashlight and a signal whistle. The next pocket in line would probably be considered the main compartment. It’s pretty large and is divided into three sections. You could easily fit a larger GPS unit like the Garmin 60CSx and a fair amount of other gear in the center section. I was also able to get a heavy-duty Adventure Medical Heat Sheet emergency blanket in one section and a couple Clif bars in the other. 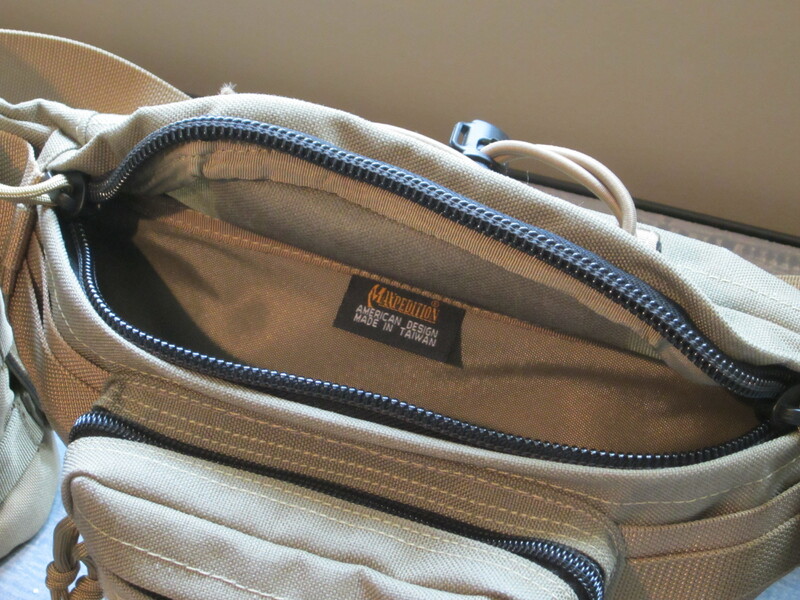 The top of the main compartment has a sleeve with a shock cord strap. 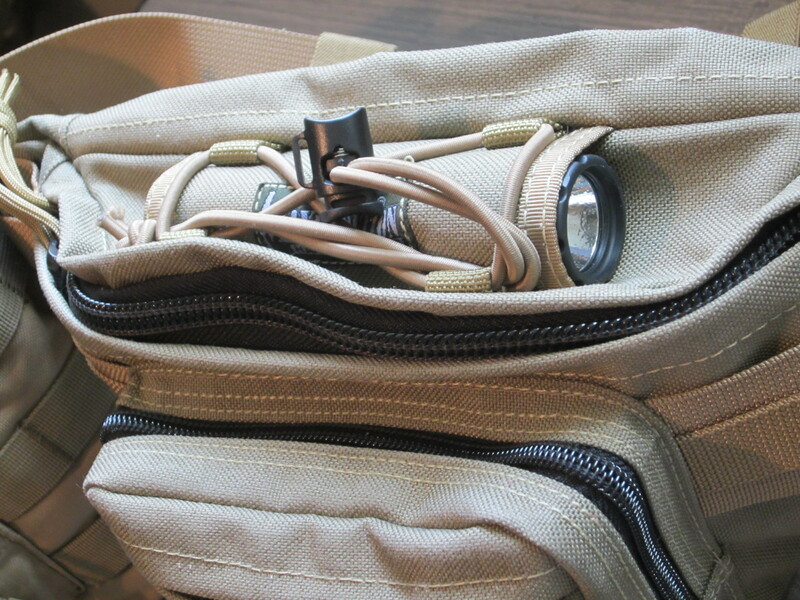 It’s a great place to keep your flashlight or any other similarly-sized piece of gear. The fourth pocket is on the waist side of the Octa. That makes it a little inconvenient for access while the pack is strapped on, but it’s not a bad place for flat items that don’t require easy access. 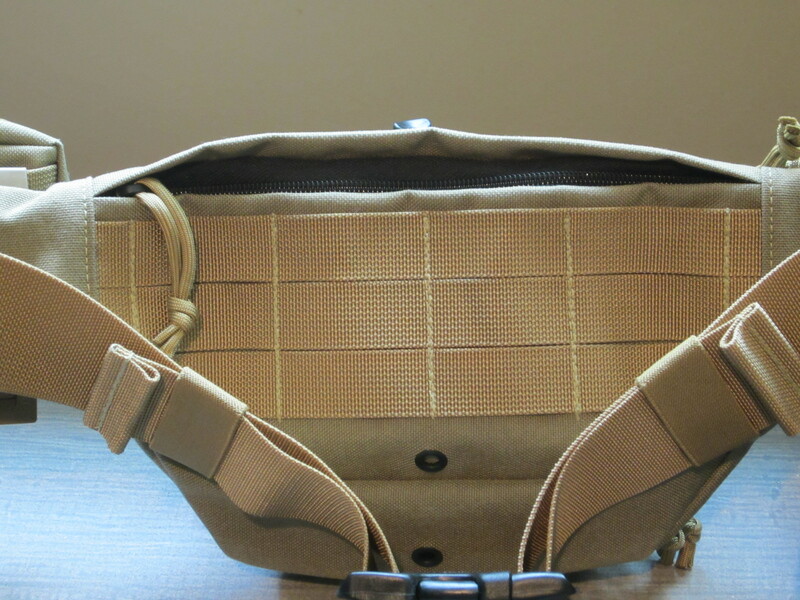 As you can see from the photo above, the inner side of the Octa is covered with MOLLE/PALS webbing. This gives it the flexibility of being mounted to a larger pack. That might be a workable idea as long as there isn’t much weight in the Octa. Of course, like virtually all Maxpedition products, the Octa not only has a lot of on-board storage but it also serves as a great base for add-ons. In the photo below, I’ve added a Condor Tactical insulated water bottle pouch and a Maxpedition 4X6 utility pouch. 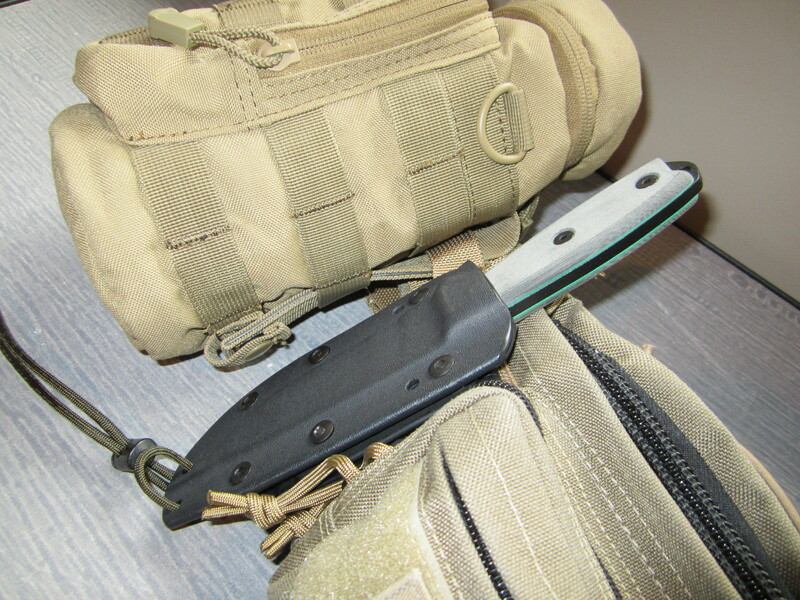 I also discovered that my ESEE-4 knife would mount to the Octa utilizing the sheath and MOLLE LOKs that came with it. All-in-all, the Octa is a good little pack even if it does remind me slightly of the 90’s.